A revolution in architecture, the home of a fine art masterpiece and a battleground in the struggle between autocracy and democracy. It is the Banqueting House. Centrally located on Whitehall between Trafalgar Square and the Houses of Parliament, the Banqueting House is nonetheless the most overlooked important building in London. The Banqueting House is all that remains of Whitehall Palace, once the largest and grandest palaces in Europe. In the 13th century, the Archbishop of York purchased the site on which the Banqueting House now stands. No humble clergyman, the archbishop was a powerful man involved in affairs of state. Therefore, he needed a London residence near the seat of government, the Palace of Westminster, which was just down the street. When Thomas Wolsey became archbishop of York in 1514, he set about making York Place, as the archbishop's London house was known, the grandest palace in the land. Wolsey, who later became a cardinal, virtually ran England in the early years of the reign of Henry VIII. But when Wolsley failed to persuade the Pope to grant Henry an annulment of his marriage to Catherine of Aragon so that he could marry Anne Boelyn, Wolsley fell from favor. By 1529, all of Wolsey's property including Hampton Court Palace and York Place had been forfeited to the King. Henry was very pleased to have York Place inasmuch as the Palace of Westminster had burnt down in 1512. His new palace, which he renamed Whitehall Palace, was large, modern and lavishly decorated. This did not stop Henry, however, from expanding the palace even further with the addition of indoor tennis courts, a tilt yard and a cockpit. The first banqueting house at Whitehall was built in the reign of Henry's second daughter Elizabeth I. It was to be a temporary structure for use in the ceremonies associated with the Duke of Alencon's (unsuccessful) courtship of Elizabeth in 1581. King James I had the old banqueting house torn down. He wanted something much grander that would be in keeping with his theory that he ruled by divine right. Therefore, he had a new banqueting house constructed. Unfortunately, the new building burnt down in 1619 not long after it was completed (1608). Not one to be thwarted, James commissioned Inigo Jones to build a new one. Completed in 1622, this was the Banqueting House that we see today. The new building was a sensation. Jones had studied architecture in Italy and had been influenced by classical ideas and by the work of the Venetian architect Andrea Palladio. Along with the Queen's House in Greenwich, which Jones also designed, the Banqueting House brought classical architecture to England. Jones made no attempt to harmonize the Banqueting House with the rest of Whitehall Palace. This is because James and his successor Charles I planned to demolish the existing palace and replace it with a classically-inspired palace designed by Jones. However, as a result of the turmoil that eventually culminated in the English Civil War, the Banqueting House was the only component of Jones' larger design that was ever built. Charles was a great patron of the arts and had a grand vision for the decoration of the Banqueting House. He commissioned the foremost painter in Europe, Sir Peter Paul Rubens, to paint a series of monumental canvases that would cover the ceiling of the banqueting hall. The subject would be the Apotheosis of James I showing, among other things, Charles' father being welcomed into heaven. This was not merely a display of ego but a calculated political message. Charles believed that kings ruled by divine right. Set in the impressive double cube room of the Banqueting House, the painting would deliver that message to all who entered. The Banqueting House was not just a place to dine. It was used for receptions where Charles would meet with his court, high government officials and with foreign ambassadors. It was also used for ceremonies such as Touching for the King's Evil in which people suffering from certain skin diseases would be “cured” by the touch of the king. From the galleries overlooking the main floor, the public could watch the king perform in all his splendor. Not everyone was persuaded that God had given Charles a right to rule with unfettered discretion. Many in Parliament believed that government should be by the people's elected representatives. This eventually erupted into the English Civil War, in which the supporters of Parliament fought the supporters of the king. Charles lost. A Parliamentary tribunal ordered his execution. Ironically, the place selected for the execution was outside of the Banqueting House. On January 30, 1649, Charles was led through the Banqueting House and onto the scaffold that had been erected outside where he was beheaded. Whitehall Palace remained vacant for several years until the Parliamentary leader Oliver Cromwell was appointed Lord Protector (i.e., head of state). Again ironically, Cromwell used the Banqueting House for receptions and ceremonies similar to those of his royal predecessors. After Cromwell died at Whitehall in 1658, Charles' son was invited to take the throne as Charles II. The place chosen to welcome the new king back from exile was the Banqueting House. After hearing the addresses from both Houses of Parliament, Charles reportedly apologized for having taken so long in returning, observing wryly that he had met no one since his return who had not long supported his cause. 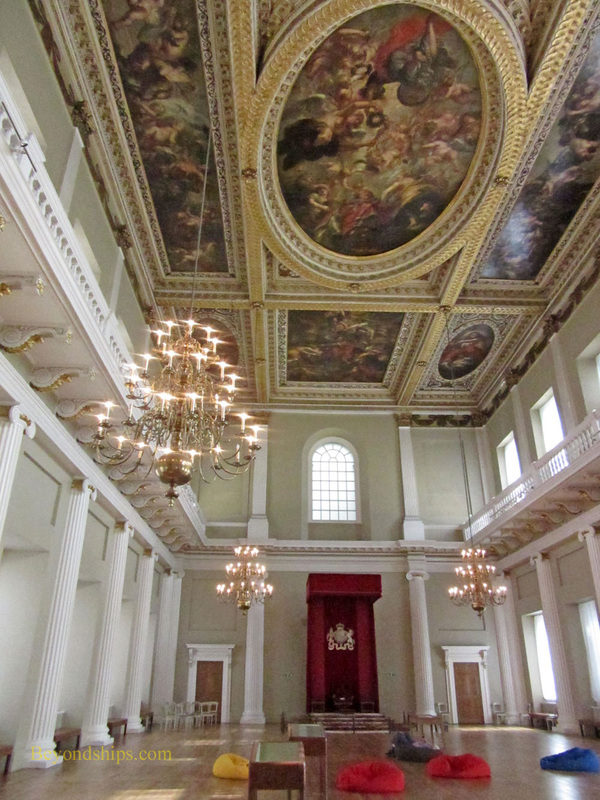 Under Charles II, the Banqueting House returned to its role as the king's great ceremonial chamber. However, when Charles II was succeeded by his brother James II, it became a storage area. James was not king for long. While Charles II understood that he had to rule in conjunction with Parliament, James' embraced their father's notion of absolute monarchy. In addition, James was a Catholic and many feared that he would try to force his religion on his Protestant subjects. In the Glorious Revolution of 1688, James was deposed and in the last great ceremony at the Banqueting House, the throne was offered to the Prince and Princess of Orange. The offer was contingent, however, on William and Mary agreeing to the provisions of the English Bill of Rights, which were read aloud to them. Like Magna Carta, the Bill of Rights was a milestone in the struggle for democracy and spelled the end of absolute monarchy in England. Almost all of Whitehall Palace was destroyed in a fire in 1698. Over the succeeding years, all that had survived the fire was demolished with the exception of the Banqueting House. For many years, the Banqueting House was used as a chapel, becoming a chapel for the Horse Guards in 1808. In the 1890s, however, the chapel was closed and Queen Victoria granted a request to turn the building into a military museum. The museum closed in 1962. 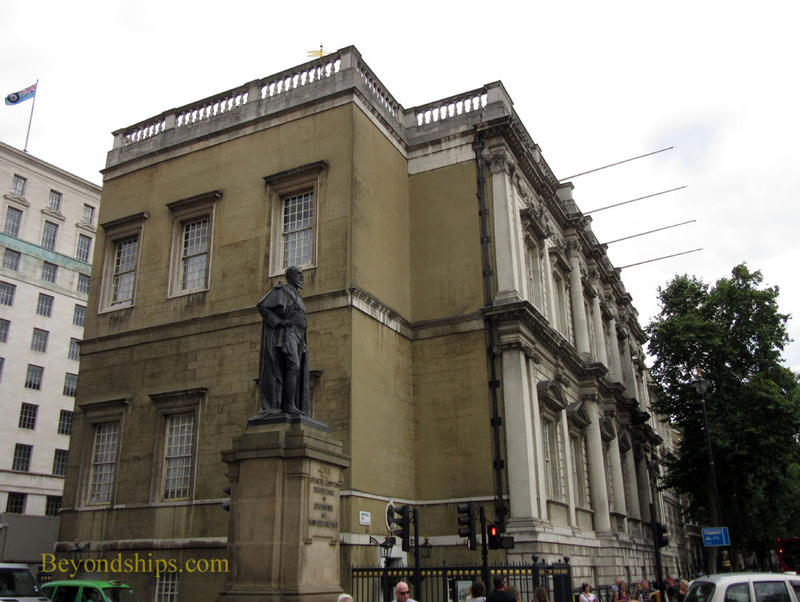 Today, the Banqueting House is a national monument cared for by Historic Royal Palaces.